Wines can be ordered in any quantity and in any combination. Click the here to order your wines today! Place your order before Friday November 24th to receive your wine in time for the Holiday Season! ​An intense and driven wine with structured tannins and acidity for long ageing. The nose shows cassis, tobacco, mulberry, blueberry, sage and mixed baking spices. The palate has lots of toasty oak, espresso, vanilla and caramel and is balanced with intense blackberry, black cherry and baked plum fruit that will integrate together nicely in the next two years. Savoury charred meat and dried rosemary add complexity and the finish is long and given freshness by the crisp acidity. Try with roast duck or herb wrapped, grilled tenderloin. - Rhys Pender, Master of Wine. ​An intriguing and complex nose shows red and black currant, vanilla, tobacco potpourri, spice and tangy, meaty notes. The palate is elegant and balanced with ripe tannins, juicy fresh acidity and unfolding layers of flavour through a complex, seamless palate including plum, mixed red and black fruits, orange zest, floral violet notes, leather and spice. It shows restraint yet with plenty of structure and intensity to develop and cellar for a decade or more. Pair it with rosemary and garlic studded leg of lamb. Get a jump on the holiday season and order your holiday wines now. Need gifts? 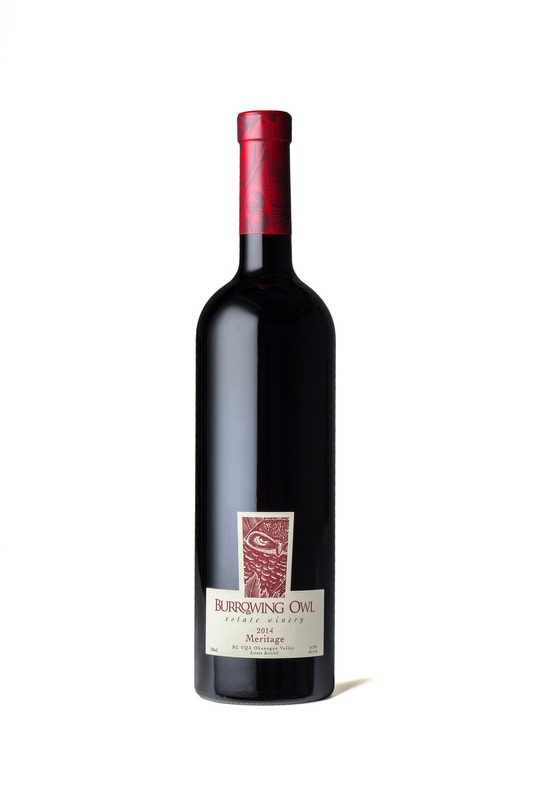 Burrowing Owl Estate Winery gift cards are always the right vintage and varietal. Gift Cards can be purchased by calling the winery, and they will be mailed to the recipient with a holiday card and personalized, seasonal greeting. Gift Cards may be redeemed at the winery in-person at the Wine Shop, Guest House and the Sonora Room Restaurant. Treat yourself to a little rest and relaxation before the busy holiday season. Packages are available from Thursday to Sunday between November 9th and December 3rd. Includes a one night stay at the Guest House, a 3-course dinner in the Sonora Room Restaurant and a Wine Country breakfast. For more information, please visit our website. Burrowing Owl Estate Winery will once again be participating in the Winter In Wine Country Festival - November 24th and 25th. Stop by our Wine Shop and enjoy cheese, chocolate samples, cookies and small bites. Visit Pluto, ambassador burrowing owl along with Lauren Meads, Biologist at the Burrowing Owl Conservation Society at our Wine Shop, and learn about these incredible birds. For more information, please visit the Oliver Osoyoos Wine Country website.